Please share a few thought of what you would like to with x-class? Thank you! Our team will review get in touch! When is the next Racing Event? 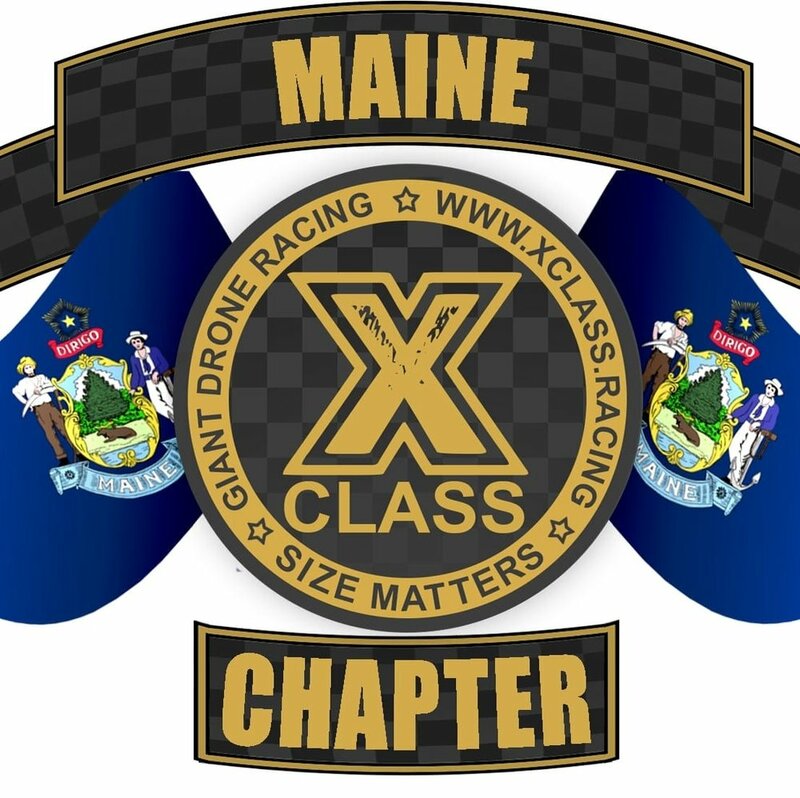 We are excited to announce the 2019 Maine X Class Giant Drone Racing series! This year long schedule of events coordinated and operated by Maine Drones LLC designed to kickstart giant drone racing in the state of Maine. There will be sessions to discuss the process of design, fabrication, construction, electronics, tuning and most importantly competitive racing. These amazing machines by hobbyists and professional mentors of the Maine Drone Society and leaders in the local MultiGP community. Our video production series will include live and pre-recorded content geared for entertainment purposes of the larger drone community. The general concept of our 2019 Build, Tune and Race X Class series is for enthusiasts to work together as teams and compete is a statewide X Class Drone racing tournament. The year will be centered around five official events co-hosted by local AMA / MultiGP chapters. Each event will take cues of nationwide drone racing but focus specifically on traditional notions of the Maine wilderness and outdoor lifestyle. The series will also feature demonstrations, builds to provide learning opportunities for aspiring X Class racers and fans to learn a little more information about why large scale drone racing is unique in the industry. 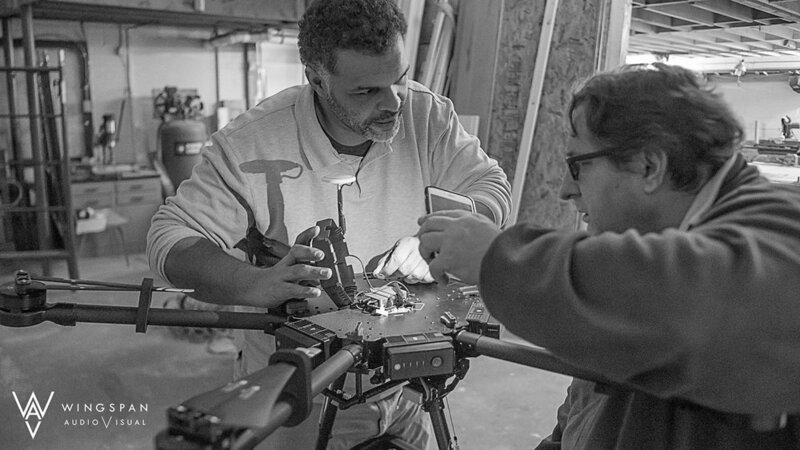 Maine Drone Society mentors will work directly with aspiring racers on building and tuning their aircraft. The series will culminate in a championship race where the winner will be receive cash and prizes from local sponsors as well as an chance to compete in the National X Class Championship Race in Houston, Texas. X Class demonstration events are informal meetups held at various locations focused as Q & A sessions between X Class founding members and the public. Think of it as a easy way just to get together to talk about giant drone racing. X Class demonstrations are geared towards and attended by potential pilots, fans, sponsors, venues and marketing partners. X Class build sessions are more formal instruction research and design sessions focused on the technical nature of building and flying high-speed giant drones. Build events are attended by paying students looking to learn about general UAV technology and in the process create their own X Class aircraft to compete with. X Class build events are done at a central location but are also offered remotely over the internet. Official X Class Events that count towards the season points total co-hosted by MultiGP Chapters. There will be a total of five events consisting of four qualifying races and one championship race. You must complete in at least one qualifying race to keep a spot in the championship. Final Championship Event, Ballpark tight track with timing system. How do I Build an X-Class Drone? 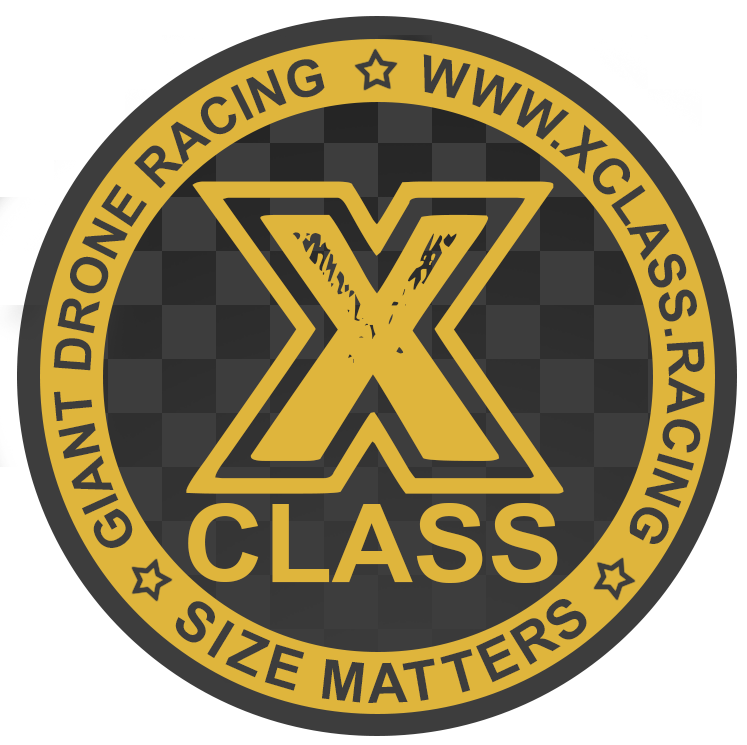 Building an X-Class drone is similar to building a smaller FPV drone however, as the name implies it is X-Large. With this increase size and weight comes complexities in the design, construction and testing of these aircraft. While an common FPV drone may have a motor to motor size of 180mm to 250mm, X-Class Drones are a minimum of 800mm to 1000mm. What is Race Format for X-Class? Each team of three including the pilot, visual observer and team manager is granted one full battery of practice on the track by themselves. Their fastest lap of the battery will be used to determine their race position. This battery is dedicated to the pilots so they may become familiar with the track and the aircraft, and for fans to connect to individual machines & teams. Each team will then be announced to the audience. This includes an introduction of the team and a few words about it's members and most importantly their machines. All general specifications of the aircraft and parts used can be shared. For a bracket racing we require at least 8 pilots giving two qualifying races and the finals. During the race each pilot will be assigned a Visual Observer/Spotter for safety precautions. In addition, a field visual observer of the race must be available. The bottom 4 of the qualifying heats will seed the the first race, the top two pilots of that race will move on. The top 4 of the qualifying heats will seed the second race, the top two pilots will move on. Finals consist of the 4 top pilots, head-to-head race for the most laps. What are the Aircraft Requirements for X-Class? X Class Drone Racing limits frames sizes to 1200mm motor-to-motor diagonally. The aircraft must feature a canopy or 'body' that is a minimum of 5" wide and 8" long. X Class Drone Racing motors typically fall between 400kv to 900kv in sizes 4114, 4120, 4220. T-Motors has the F1000 in 545kv to 635kv for around $120 per motor. You do not need to break the bank to have a X Class drone. There are other options like the Racerstar or Bee Rotor in the $30 - $80 range. New motors are being announced all the time. The use of combustible liquid fuel of any kind is not allowed in races. The arming switch must be tested and demonstrated prior all flights. Aircraft arming must be performed by switch or a yaw right sequence. Where are the X-Class Chapters Located?